Driver vehicle inspection reports (DVIR) are already an integral part of managing your fleet. So, when it comes to how best to coordinate this critical task, the question isn’t so much whether DVIR is worth the effort — it absolutely is — but how best to go about satisfying this requirement and maintaining the protection it affords you and your business. 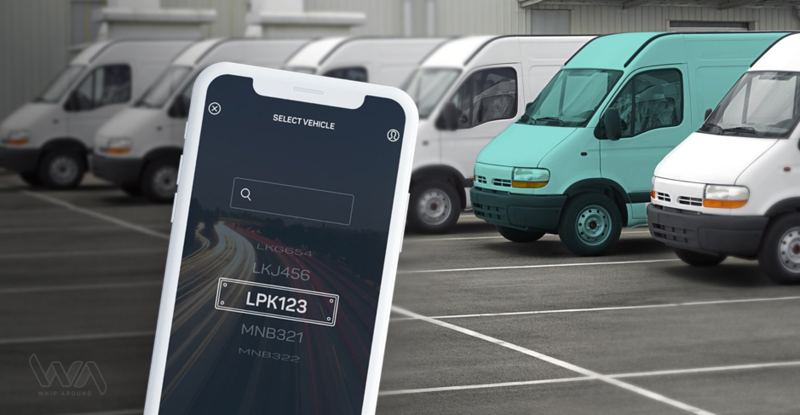 Electronic DVIR gives you the chance to revolutionize your approach to filing detailed reports, even presenting you with the capability to conduct pre-trip inspections on your phone. It’s a whole new day for DVIR. So let’s delve into how this latest tool works and how it can facilitate your business. In the old days, DVIR would present you with a record of your vehicle’s condition, one which could serve as evidence to both the vehicle’s condition if an accident should occur and which ensures that the likelihood of any such incident would be minimized. After all, vehicle collisions are among the most common causes of death. Thankfully, eDVIR plays the same essential role in your fleet management, albeit with a streamlined methodology that emphasizes ease of use and accuracy above all else. Drivers still need to complete and submit forms before and after each trip, but electronic reports allow for a level of customization and access that just isn’t possible by traditional means. What once proved to be a burden actually creates a smoother environment for all. While drivers will find these electronic forms so much more accessible, you’ll be able to shed the worry about when you’ll receive the latest inspection reports and how to proceed. eDVIR uses a cloud-based system, meaning you’ll be able to evaluate reports instantly and leap into action to address any outstanding concerns. In general, this new system facilitates the your ability to keep your fleet running strong and eliminates the need for copious paperwork. Less work and a more streamlined process make less work for everyone involved and boost your fleet’s capacity to handle each project in a timely manner. You’ve already assembled a winning team, but the way you do business very likely could use a tune-up. So let’s break down some of the key benefits that eDVIR offers. First, we’ve alluded to the time savings already, but seeing as time is one of the most limited resources you need, this aspect of eDVIR stands above all others. Since you can build and customize your own forms, inspection reports can be completed in a fraction of the time they once were and, thanks to the mobile capability, they can be completed from anywhere at anytime via a smartphone or other mobile device. Simply log in to the system, complete the form and submit it, and it is automatically saved in the system and added to the unlimited storage of your archives. This ability to have the latest information right at your fingertips makes it that much easier to schedule necessary maintenance and repairs, keeping you one step ahead of your competitors. Moreover, the simplified forms reduce the chance that human error will interfere with your operation. After all, you never know when you’ll need to submit your full reports for audit. You’ll already have them ready in waiting in your digital storage space, but now you’ll be far more confident in how well they’ll reflect the activities of your fleet. Once you give eDVIR a try, we know you’ll see the difference instantly and probably wonder why you spent so long wasting time on its paper-based counterpart. Brakes: Your vehicle has many critical parts that must be working properly to ensure the safety of your drivers and others on the road. Needless to say, your brakes are among the most important. Of course, don’t forget your service and parking brakes. Steering and horn: Your driver’s ability to accurately pilot the vehicle without incident depends on the soundness of the steering mechanism. But don’t forget to verify that your horn is working as it should. If something does go wrong, this is the best way to let others know. Tires and wheels: When you’re on the road as much as your fleet is, your tires certainly take the bulk of the damage. If they don’t have sufficient tread on them, you could be heading for disaster. So be mindful of the condition of your tires and wheels before you hit the road, including whether your tires simply need a bit of air first. Lights and reflectors: Like your tires, your lights reflect the natural wear and tear that occurs when you’re always on the road. Check that they are all working properly and all that reflectors are attached. You’d be surprised how often such a simple item can make a life-changing difference. Windshield wipers and mirrors: Especially when you’re driving a large commercial vehicle, your mirrors are your greatest hope to orient yourself with the other cars on the road. Likewise, your windshield wipers defend against the changing conditions you may encounter and require frequent replacement. Emergency kit: If you do find yourself in a dire situation, an emergency kit filled with maintenance repair items and other must-haves can really come in handy. You never know what might happen out there. So your best bet is to be ready for a crisis if one does occur. We can’t imagine you’re still doubting how eDVIR can enhance your fleet management skills, but if you do need more information about how it compares to traditional DVIR, you might want to check out our handy infographic. The benefits of taking your inspection reports into the modern world are already apparent, and the technology is quickly on its way to becoming the standard-bearer throughout the industry. Don’t let your competition get an edge on you, especially when eDVIR can maximize your productivity and efficiency in such a significant way. To get started for free, visit our website and sign up for a demo of Whip Around today.